We specialize in the supply of quality building components to the upscale housing market. 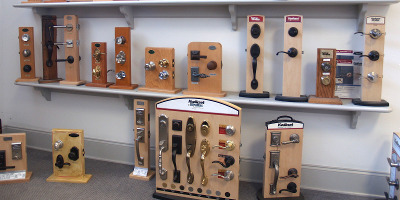 We have a complete window and exterior door shop and assemble the entire line of THERMA-TRU door products. 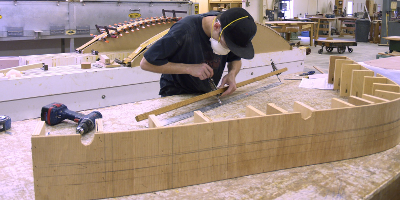 We have an extensive custom millwork shop and can build any architectural feature desired. 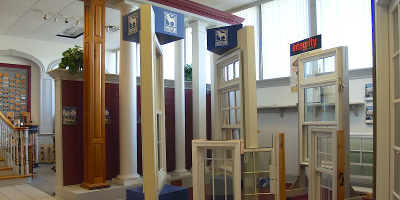 Our interior door shop can prehang any size or style, and we can customize to your liking. All of our products are guaranteed, and our own field service crew handles warranty issues and field adjustments. We have been here since 1988 and will be here long after your new home is completed to provide first class warranty service. Our reputation is solid, and we will respond to your individual needs. Please consider us when selecting your supplier. We have vast sources of supply both domestic and foreign and represent many major manufacturers. Custom Builder Supply Millwork Shop is a state of the art manufacturing facility capable of producing any molding profile from most species of wood or composite material. We offer monthly specials on our quality custom building products. To see and print our current monthly special, click here.